No, seriously, you'll have to. They won't be available in the west. Still looking for the coolest case you can find for your Nintendo Switch and all its various accessories? Look no further, because Nintendo's got you covered. Well, that is, if you live in Japan. If you're anywhere else in the world, you're just going to have to be okay with importing. Because these are some seriously cool cases. Just look at them. One is an All-in-One Box that can hold your Switch itself, your dock, AC adapter, Pro Controller, games, and various other accessories. The other is a pouch designed to fit your Switch inside and keep it protected on the go. All are emblazoned with the globe-trotting Super Mario Odyssey imagery with red, white, and blue color schemes. Both cases are coming out on August 2, and are available for purchase via international shipping from Amazon Japan, so if you're interested in outfitting your system with one, you'd better get on it. They're pretty special when it comes to design work, and well worth the extra cost to import. 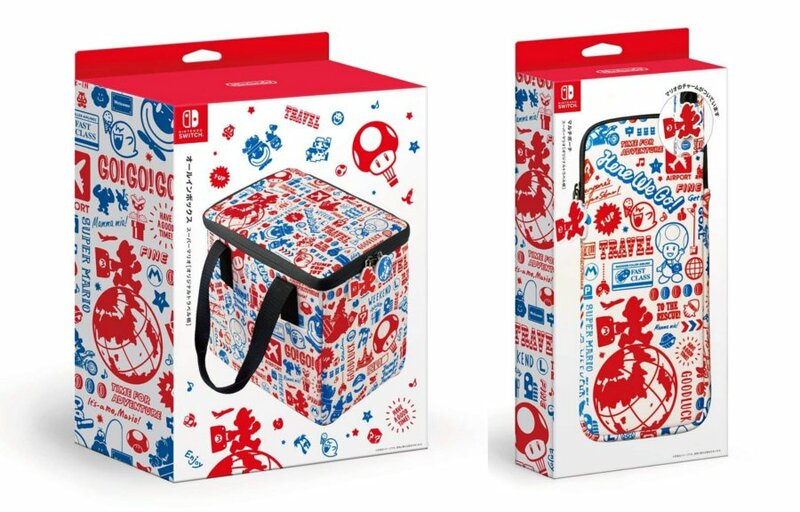 Now, why can't we get some cases that look like these, Nintendo, huh?